Free Spay/Neuter Event For Dogs at The Little Haiti Cultural Center ~ Pawsitively Humane, Inc.
Miami-Dade County Animal Services Department and Commissioner Audrey M. Edmonson, District 3, will host a free spay/neuter event for dogs on Saturday, March 1, 2014, from 8:00 a.m. to 4:00 p.m. at the Little Haiti Cultural Center, 212 NE 59th Terrace, Miami, FL. 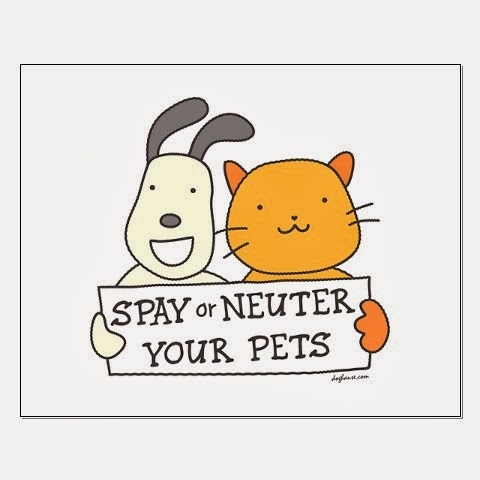 Spay/Neuter surgeries are by appointment only. To schedule an appointment for dogs, please call 3-1-1. Dogs must be dropped off at 8:00 a.m. and will be ready to be picked-up at 4:00 p.m.
“We are very happy to be able to offer free spay/neuter services to the District 3 community. The spaying or neutering of pets helps reduce unwanted litters and pet overpopulation and is an important step in making Miami-Dade County a no-kill community,” said Alex Muñoz, Director of Miami-Dade County Animal Services Department. Requirements; No Exceptions: Service for Miami-Dade County residents only. A maximum of four (4) appointments per residential address. Proof of current rabies vaccination must be provided for all dogs. Dogs without a current rabies vaccine will be vaccinated at the time of surgery (only dogs up to 40 pounds are eligible). Veterinarians may decline surgery of any pet due to health reasons. Over 27,000 pets are abandoned each year at the shelter where staff and volunteers work diligently to reunite, re-home or find a Rescue Partner for the animals. The Department is also responsible for enforcing Chapter 5 of the Miami-Dade County Code and Florida State Statutes pertaining to animal cruelty and neglect. For more information, please call 311 or visit our website at www.miamidade.gov/animals.